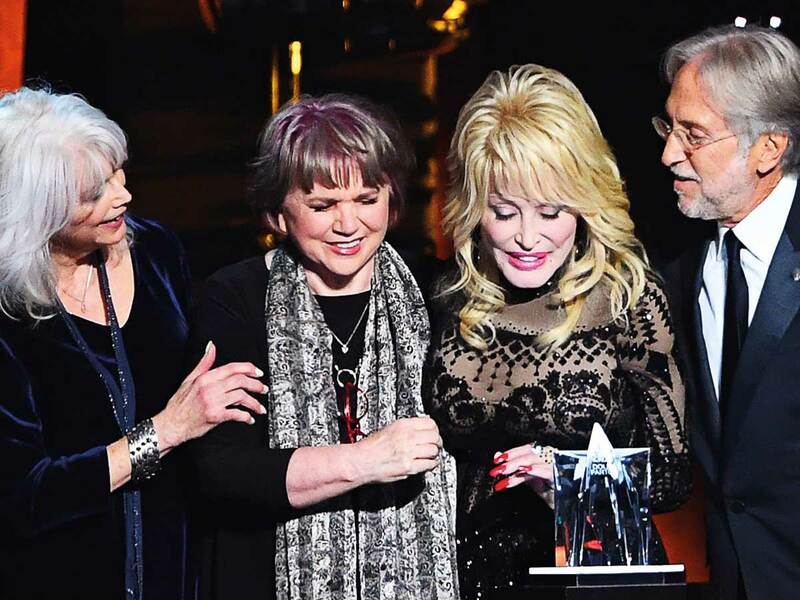 Surprising Parton with her award and earning a standing ovation were Emmylou Harris and Linda Ronstadt, who teamed with Parton for two successful ‘Trio’ albums. It was a rare public appearance for Ronstadt, who can’t sing anymore because of Parkinson’s disease, which Parton mentioned. “I never met a man that I didn’t like and I never met a man whose [rear] I couldn’t kick if he didn’t treat me with the right respect,” she said, drawing raucous cheers. Gospel singer Yolanda Adams received a standing ovation for ‘I Will Always Love You,’ the Parton-penned song famously covered by Whitney Houston. Backed by a horn section, Stapleton tackled ‘9 to 5,’ getting the audience clapping along to Parton’s ode to empowered yet challenged working women. 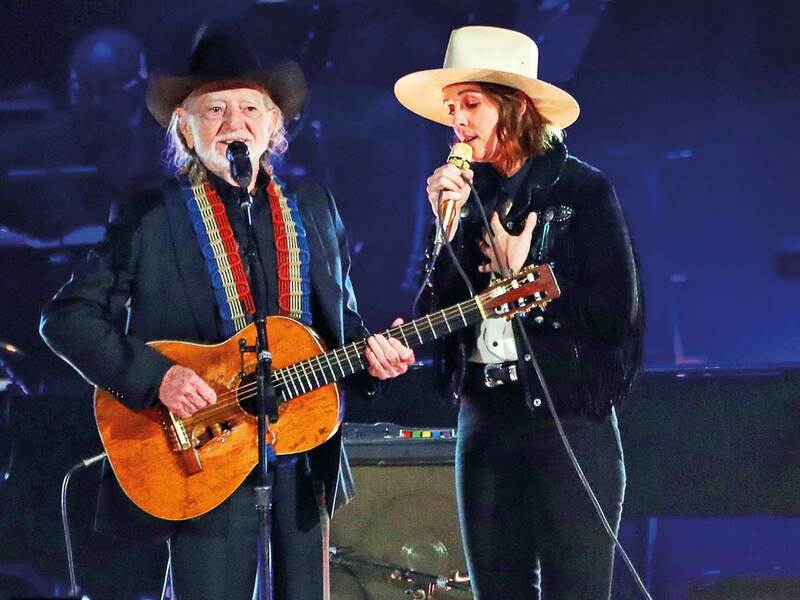 Musgraves and Perry teamed up on ‘Here You Come Again,’ with Perry decked out in lilac fringe with matching boots and cowboy hat. Brooks and his wife Trisha Yearwood teamed up on ‘Old Flames Can’t Hold a Candle To You,’ sealing it with a kiss. Backed by a choir, Leon Bridges and Mavis Staples took the crowd to church on ‘Not Enough.’ Bridges got into the spirit of the evening with white cowboy boots and a denim jacket with his name and a white horse on the back and red barn patch on the front. 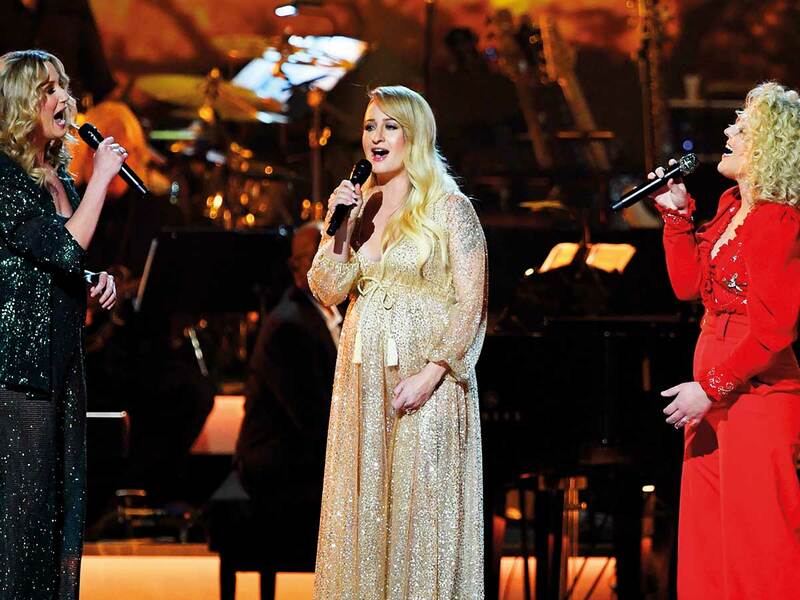 She closed the evening by performing ‘Coat of Many Colors’. 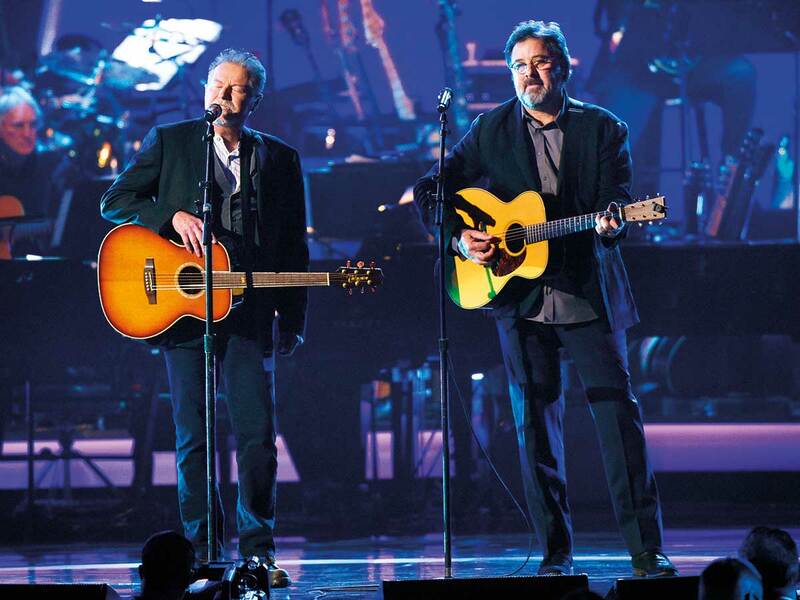 Friday’s dinner and auction at the Los Angeles Convention Center generated more than $6.7 million (Dh35.62 million), Recording Academy president Neil Portnow said.